Topical preparations, like all other dosage forms, must be formulated, manufactured, and packaged in a manner that assures that they meet general standards of bioavailability, physical (physical system) stability, chemical (ingredient) stability, freedom from contamination, and elegance. Like all other pharmaceuticals, these factors must remain essentially invariant over the stated shelf life of the product, and they must be reproducible from batch to batch. Much has already been said concerning the chemical structural dependencies of skin permeation. However, the goal of all treatment is successful therapy, not delivery per se, and consequently the intrinsic activities of the drugs must also be taken into account when selecting compounds for dermatological and transdermal development. The pharmacological response depends on delivering sufficient drug of a given activity to the target zone. Clearly, the more potent a compoundis, the less of it needs to be delivered. Since topical delivery is difficult at best, potency often dictates which of the compounds found within a family of drugs should be developed, for the highly potent analog, reasonably formulated, offers the best chance of obtaining clinically sufficient delivery. Conversely, marginally potent analogs, even when expertly formulated, often fail because of inadequate delivery. An excellent example of this principle is found with the narcotic analgesics. Because of its extraordinary potency, fentanyl, with a daily palliative requirement of 1 mg, and not morphine, which requires between 60 and 120 mg to alleviate pain over the course of a day, is what has made its way into transdermal use. The fact that fentanyl is also physicochemically more suited to transdermal delivery than morphine does not controvert this axiom. 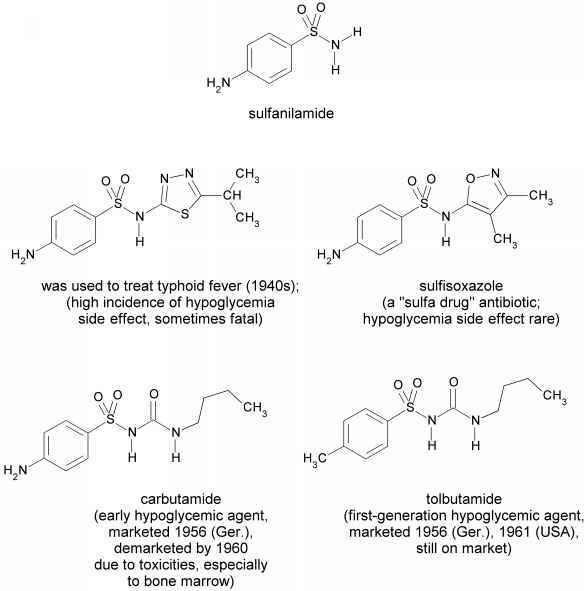 Unlike mass transport across membranes, which relates to chemical structure in predictable ways, the potencies of drugs as seen in pharmacological, pharmacodynamic, or other tests are highly structurally specific within a class of drugs and are without commonality across classes. A drug's activity involves a complex merging of these separate structural influences, with bioavailability always one of the concerns. Such concern is minimal when a truly superficial effect is involved, however. For example, the most potent antiseptic as measured in the test tube is likely to have near the highest topical potency as well. The intrinsic activities of compounds may be poor indicators of relative topical potentials when deep skin penetration is required, however, because the structural features benefiting the biological response are often distinct from those that favor permeation. Thus, tissue permeability can be an important and sometimes a dominant factor in the clinical structure-activity profile. We have seen that the determinants of skin permeation are the activity (concentration) of a drug in its vehicle, the drug's distribution coefficients between the vehicle and the skin and across all phases of the skin, and the drug's diffusion coefficients within the skin strata. Congeners, if comparably sized, exhibit little variance in their diffusion coefficients. However, the structural differences seen within congeneric families profoundly affect the solubility, partitioning, and in transit binding tendencies of the family members in addition to determining their binding with receptors. Drug delivery and resulting clinical effectiveness are captive of the former phenomena (56). For example, the 21-ester of hydrocortisone is more hydrophobic than its parent, its ether/ water partition coefficient being about 18 times hydrocortisone's (57). Given the strong parallels in partitioning behaviors that exist across partitioning systems, it stands to reason that similar order-of-magnitude increases exist with respect to the acetate's stratum corneum/water and sebum/water partition coefficients. At the same time, acetylating hydrocortisone at the 21-position increases the melting point by 12°C. Consequently, not only does derivatization drop the aqueous solubility precipitously but it depresses solubility in all other solvents as well (58). While the increase in partition coefficient raises the permeability coefficient relative to hydrocortisone, this impact is more than offset by reduced solubility and far less of the acetate derivative can be delivered through the skin from respective saturated solutions (59). However, as the alkyl chain length of the ester is methodically extended (C3, C4, ..., C7), the growing bulkiness of alkyl group increasingly interferes with crystalline packing. Consequently, melting points fall incrementally from the 224°C peak of the acetate ester to 111°C when a chain length of seven, the heptanoate ester, is reached (58). An especially sharp drop of 69°C is experienced between chain lengths five and six. Because of declining crystallinity beyond the chain length of two, solubilities of the esters in organic solvents rise markedly. Moreover, aqueous solubilities, though methodically depressed by increasing hydro-phobicity, remain many times higher than they otherwise would be. The net effect of these concerted forces is that the hexanoate and heptanoate esters of hydrocortisone are well over an order of magnitude more skin permeable than hydrocortisone when they are administered as saturated solutions (58,59). 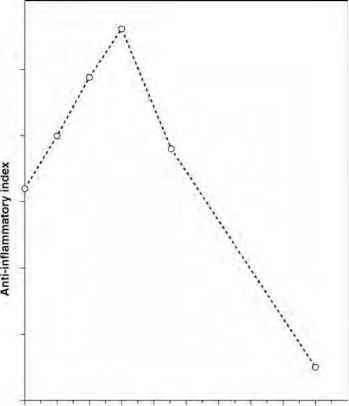 Figure 6 Ability of hydrocortisone esters to suppress inflammation. irritant and a vehicle, is shown as a function of the alkyl chain length of the esters (60). An optimum chain in effect is seen at an alkyl chain length of six (hexanoate), with substantially longer and shorter esters being measurably less effective. The behavior is exactly what would be predicted from partitioning and solubility considerations. That this is not an isolated behavioral pattern with corticosteroids can be seen in Figure 7 where vasoconstriction data of McKenzie and Atkinson for three betamethasone ester families, 21-esters, 17,21-ortho-esters, and 17-esters, are shown as functions of the ether/water partition coefficients of the compounds (61). Vasoconstriction, blanching of the skin under the site of steroid application, is a proven index of a steroid's combined potency and ability to permeate through skin. Maxima are apparent in the data for the first two of these series, and the indications are that the 17-ester series is also peaking. Both maxima lie between ether/water partition coefficients of 1000 and 10,000 (57) as, interestingly and probably significantly, does the optimum ether/water partition coefficient of the hydrocortisone esters. The differing shapes and heights of the curves are not readily quantitatively explained but reflect differences in intrinsic vasomotor activities of each ester type. The coincidence of the maxima on the partitioning scale, on the other hand, seemingly relates to an optimum lipophilicity for delivery.